When you live in a place that experiences temperature extremes like the cold, cold winters in Oakville, you'll spend a lot of money heating and cooling your home. Your unit will work overtime to counteract the temperatures outside and to make a comfortable environment inside. All that hard work will send your energy bills soaring. Basic windows provide no more than a thin layer of glass between the inside of your house and the outside. Glass is not a good insulator. All you have to do is put your hand on a window on a winter day to know how little protection it offers your home. Vinyl windows do provide insulation by using two or three panes of glass padded by gas or air in the sash. Those pockets of air create a buffer for your home, helping to keep the outside air outside and the inside air inside. By updating all your windows to vinyl windows, you can significantly reduce the energy consumption of your home. You may not have as many doors in your home as you have windows, but your doors can still have a big impact on your energy consumption. Replace all your exterior doors with insulated options. You can further improve the energy efficiency of your doors by adding weather stripping to the bottom and ensuring that the seals around the frames are intact. Your garage is like a big ice box sitting on the side of your home during the winter, bringing down the temperature inside your home. During the summer, the opposite is true. Your garage acts like a giant heat box, making your whole home warmer. You can make your home more energy efficient by installing an insulated garage door and insulating the walls of your garage. Making your home more energy efficient not only makes it better for the environment but can also save you thousands of dollars over the life of your home. 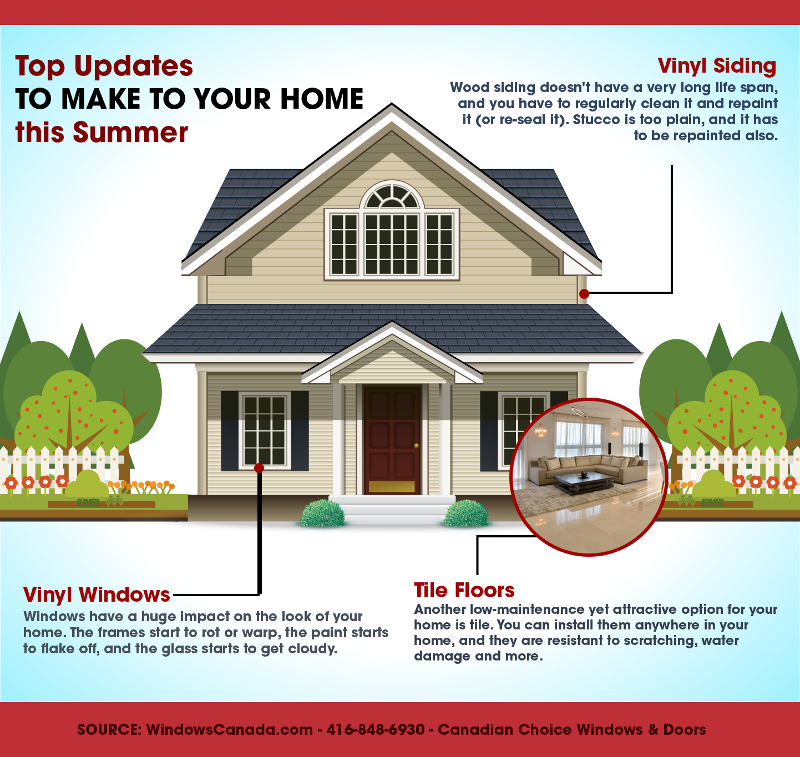 If you are ready to start making upgrades, click here to know more about vinyl window opportunities in Oakville. You'll find great values on a variety of styles.